NESCA News & Notes: What Makes a Gifted Student? From the OpenColleges.edu.au Blog "InformEd"
Parents and grandparents often look for signs that their children and grandchildren are gifted. After all, who doesn’t like to brag about their children? When moving to our new two story home when my twins were 19 months old, I was extremely worried about the stairs. I was frightened out of my mind when they insisted on walk-crawling up the stairs, but was delighted when they understood right away how to slide back down on their stomachs. I decided that my twin boys must be advanced! Unfortunately, walking up the stairs is not a sign of giftedness for my children, as the normal time for a child to walk up stairs is 18 months. However, one of the boys walked on tiptoes at 20 months which qualifies him to possibly be advanced. Too bad that advancedness does not apply to his getting his own blankie from another room or getting into the bathtub without incident. “Andrew is going to be gifted,” says his father, as three year old Andrew sings along with the radio in tune, while clapping to the beat. “Susie is gifted,” her mother states as four year old Susie recites her alphabet, lists numbers one to thirty, and then does a somersault. “Tommy is extremely gifted,” beams his grandmother as seven year old Tommy finishes a Lego castle containing 300 pieces. “Andrea is off the charts in giftedness,” says her father confidently, as ten year old Andrea plays Beethoven’s “Fur Elise” from memory on the piano. Which of the above children might actually be considered gifted? You may be surprised that it is Andrew, the three-year-old. Singing in pitch and clapping along to the beat at an early age is a sign of giftedness. While the other scenarios are impressive to some, they are not indicative of an advanced child. The technical definition of gifted is “having great natural ability“, but there is much more to it than that. It is more difficult to define than one would imagine. The main idea behind giftedness is that the child leads the direction of what they want to experience, rather than someone else. "The main idea behind giftedness is that the child leads the direction of what they want to experience, rather than someone else." If at 20 months my tiptoe walking son had been coached, coaxed, and led to walk that way by myself or my husband it would not necessarily be a sign of giftedness because he could do it. His doing it on his own out of natural curiosity or ability is what would make him gifted. Many parents and even teachers equate giftedness with good grades, high test scores, and better behavior than other students. While this may be a sign of giftedness, these parameters could leave many gifted students unidentified. Students who are unruly, have attention issues, lacks good grades, or have no interest in completing homework or participating are not generally thought of as being gifted over others who behave the opposite. Chew on this: when Albert Einstein was a young boy, he was thought to be dumb and was set apart from other students. While high scores and good grades can be an indicator of giftedness, there is more to earning that label. While many test students for good memory skills or the ability to analyze data, children also need to be creative and proactive in their interests. What Skills Do Gifted Students Possess? Being gifted means a student has certain qualities and skills that enable them to think on their own without help. Many people have good memory, the ability to interpret ideas and data, are creative, are practical, and interested in many things, but this does not make them gifted alone. Students with higher level functions will be able to create or think of something they want to do, analyze how to go about it, have the understanding of what they need to be successful, and then pursue it. They can understand what needs to be fixed or changed in order for their idea to work. While the ideas presented above make for obvious giftedness, some students are higher in some levels than others. For instance, my sixteen-year-old son is a remarkable verbal wordsmith. Since he was a toddler he has spoken very well and has an extensive vocabulary. He and I would hold real conversations about various ideas when he was just in Kindergarten. While he has amazing verbal ability, he does not know how to write it down. He has great ideas, knows what he wants to do, what the outcome should be, the problems that could arise and how to fix them. The next step to implement his ideas is where he falters. He can tell me his whole plan, then will sit down at the computer and stare. This does not make him any less gifted, it just shows that not all gifted people have the same talents and skill levels as others. How Does One Become Gifted? Contrary to popular belief, being gifted is not always luck of the draw. Genetics do play a large part in being gifted, definitely. It has been thought that the brain of a gifted person can actually process information faster. However, one’s surroundings are equally important. Nature and nurture are at work as some traits are genetic and others are learned. It is important for parents and teachers to actively participate in a child’s life in order to see what they are interested in. Whether or not the parents themselves are considered gifted, the environment a child grows up in can enhance or develop their abilities. A personal example would be that my mother’s side of the family is very musical. There are a few band directors and music majors, and everyone on the immediate side played a musical instrument at one time. With all these musical genes, it would stand to reason I would have an affinity for music, too. It turns out I did, but with the aid of my mother to cultivate it. If my mother had not bought me that little metal fife when I was in 4th grade, I may never have been the flute player I am today. Even more importantly, had she not dug out her old, dusty clarinet a few years later, I may never have been inspired to get a degree in music. Being gifted in music, it is likely that I would have desired to seek it out for myself, but the environment in which I lived aided me greatly. The brain is a complex organ full of nerves, neurons, and the chemicals that allow us to communicate, which are called neurotransmitters. The neurotransmitters move along an intricate highway of branches called dendrites. The dendrites seek other neurons at points in the brain called synapses. Having more branches and points in the brain allow us to have a better capabilities to learn. The more the brain is used, the more neurons are activated, which makes more dendrites and helps the brain to function at an even higher level. Gifted students are thought to have more compact areas of synapses where their talent lies. Being in the right environment to stimulate the neurons is also a large part of the brain being able to develop the more complex root-system those that are in gifted minds. Knowing what skills are involved is helpful, but recognizing giftedness can sometimes be difficult. As evidenced by my excitement over my twins walking up the stairs, we can sometimes jump the giftedness gun as the wonderful thing the child did is actually developmentally on time. Students that can weave an original and complex story with rich characters and an interesting plot. A child that can draw a picture to scale or with the appropriate dimensions. A student that makes up games. Games require analytical skills, trial and error, and hypothesizing, which are all advanced skills. Using a toy differently than it was made for. Drawing a picture or telling a story accurately from memory. Singing on pitch and clapping to the beat of music. For a longer list of signs, click here for an article on Gifted Kids. Often, being gifted while sounding positive and remarkable can be frustrating. If a student is lacking in creativity, analytical, or practical skills, it can hurt the area in which they excel. A highly creative person unable to apply know-how to complete his task will feel like a failure. A person with high analytical skills but nothing to apply them to will feel unfulfilled. A highly creative person unable to apply know-how to complete his task will feel like a failure. Also, a gifted person with no outlet can become depressed, angry, and feel like they have failed. Because they do not know why these emotions are erupting, they may be embarrassed that they cannot help themselves and lash out or isolate themselves. Because of their gifts or talents, many children also feel ostracized from other peers. They can be seen as “different” and are treated as such. Non-gifted students may envy their gifted classmates and treat them negatively, too. Questioning leads to their analyzing the problem, verbalizing it to me, and helps me understand their issue. Then I can allay their fears, assert my parental momliness, or redirect their attention to something else. Anything to get those little muddy, sandy, and markered up little bodies in the bathtub. It is easy to tell someone what they need to do to help their children’s minds expand and grow; it is another thing to try to implement it. It is important to ask your child many questions. Questions that have a more complex answer than “yes” or “no”. If the children are watching a television program, rather than watch it quietly with them, pause it and ask what is going on in the story. When taking younger children to a grocery store, ask questions about the food you are buying. Why are carrots better for you than cookies? Where do the vegetables come from? What animals eat bananas? Older children can be asked to determine the better buy for different items. Ask them to compare one brand’s ingredients over another. Whether at home, in a classroom, or anywhere you are with students and children, there is always something you can ask to get them thinking analytically. Prompting their memory and asking them to make up ideas will help build their skills. When playing outside, begin a game of pretend, and let them use their imagination. This is the “Teacher’s Beware” section. While it may not apply to you and your classroom, it has been researched and shown that teachers can be biased. While this may not be news, because we all have our biases, teachers need to be cognizant if theirs are showing. Teachers can often fall into the gender trap when it comes to gifted students. 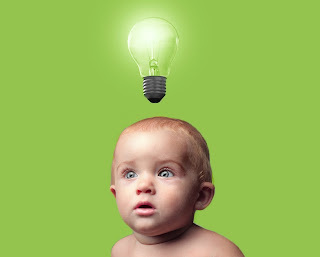 Boys are thought to be more logical, while girls are more creative. Gifted boys can be domineering, while gifted girls can be shy. Gifted girls try to downplay their attributes, while gifted boys are more forceful about theirs. This is not an absolute, but when thinking of your own classroom, do you categorize your students in this way? If not, do you categorize them in other ways? Female teachers have been noted to have a tendency to brush off girls, not boys, who are more analytical. Male teachers find girls to be emotional but still react more favorably than female teachers. Gifted students are not always treated fairly in the classroom. Whether consciously or subconsciously, it shows a disparity between the sexes that can be very obvious. The same is said for those who are not considered gifted; are teachers treating them differently, too? We all want our students to succeed, but it is possible that our own prejudices can be more harmful than helpful to students. While the above mentions that gifted girls are often not treated the same by their female teachers, sometimes the opposite can be true. Sometimes teachers can favor their own gender over others. When asked to imagine a gifted student, we all have a different idea of what he or she looks like. I immediately think of a seven year old piano prodigy, while someone else might think of a great artist. Most likely we equate giftedness with excellent grades and behavior, but those students are actually pretty rare. Gifted students come in all sizes, colors, ages, and with various talents. They also have different attitudes, home environments, and socioeconomic status. Do not dismiss Cindy because she cannot sit still, and do not automatically include Shawn because he always gets A’s on his math test. We must not forget as teachers to look for gifts in all the students and cultivate the skills they may possess. Carrie Wible is an educator, writer, musician, and mother living in Northeast Ohio. She has a Bachelor of Arts degree in Music from Kent State University, a teaching certificate in grades 1-8 from Youngstown State University and a Masters in Teaching and Learning with Technology from Ashford University. Carrie has been teaching music lessons and has taught in the classroom for a combined total of 25 years. Connect with her @carriewible or +CarrieWible.